Whether the temperatures are bitterly cold or blistering hot, walking on the ground without proper protection and preventative care can be extremely damaging to your pet’s paws. It’s important to remember that your pet’s paws require regular care just like your skin, feet and hands do. Grooming isn’t just for skin and fur – your pet’s paws need it as well! Providing proper grooming will help to prevent injuries or discomfort, and keep your pets paws feeling their best. Grooming activities are also a good way for you to bond with your pet and spend some quality time together. 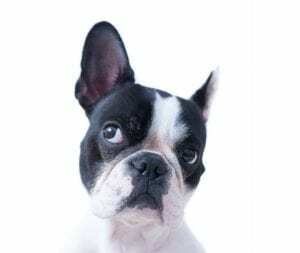 Dog’s nails shouldn’t touch the ground when they walk, so if you hear a lot of clicking or scratching, it’s a sign that your dog’s nails are in need of a trim. For more information about trimming your dog’s nails, read this blog on grooming tips. The hair between the pads on your pet’s paws can get matted and painful, so make sure to brush it out and keep it trimmed to the same height as their paw pads. 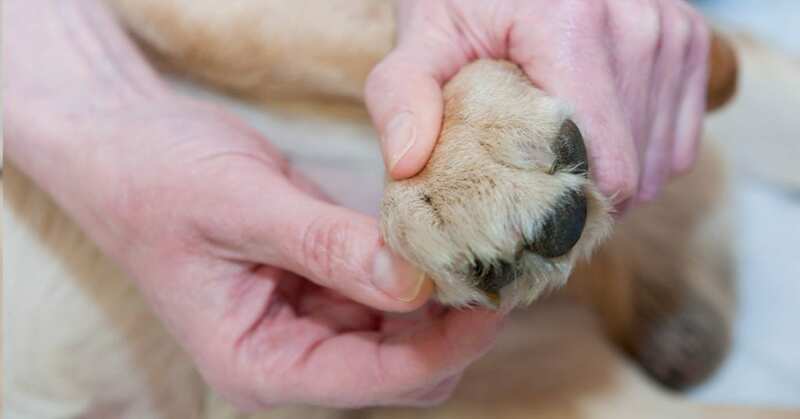 Debris like small rocks can often get stuck between your pets paw pads, so it’s important to check them regularly and clean out between paw pads. In most cases, debris can be removed with a set of tweezers. Not only will your pet love you for giving their paws a special spa day, but they’ll also feel better because moisturized paws are softer and less prone to injury or cracking. Massaging will help improve circulation to the paws as well. Try rubbing gently between paw pads and in a circular motion with your thumb on the back of the paw. When temperatures become extreme – whether hot or cold – it’s important to provide protection for your pet’s paws. Too much exposure to hot or cold ground can cause your pet’s paws to crack or blister, so preventative care and limited exposure will be a necessity for paw care. If your pet spends most of their time indoors, their paws will be less used to rough ground and more prone to injury. Start off slowly by bringing them outdoors for short periods of time and gradually increasing play or walk time to help their paws adjust to the environment and become more durable. When the temperatures drop and snow falls, you should limit the time your dog’s paws are in snow or begin using boots to protect their paws from the cold, sharp ice, rock salt, and other harmful substances. If you choose not to use boots, make sure to thoroughly wipe down your pet’s paws and check between paws to remove any residual ice and salt, as both can lead to cracking. Your pet may also be prone to licking their paws, which can be dangerous if they ingest any chemicals used to dissolve snow. Similarly, during the hottest months you will need to pay extra attention to your pet’s paws. Hot pavement and dirt can lead your dog’s paw pads to crack, burn or blister. Limit time spent on pavement or dirt, or even hot beach sand during these days and make sure to moisturize your pet’s paws regularly. A good way to check whether the ground is too hot is to place your palm on the ground for five seconds. If the temperature is too hot to keep your hand there for the full five seconds, it’s too warm for your pet’s paws. If you do notice cracked dog paws, don’t fret, you can help them at home with the right products and care. As with any injury, if symptoms worsen or appear severe, contact your veterinarian for treatment advice. If you notice your dog repeatedly licking or chewing their paws, it could be a sign of an injury or irritant. Make sure to do a paw check, clearing out any debris and wiping down paws with antimicrobial hydrogel to soothe irritation and help promote healing. If the licking or chewing continues, contact your veterinarian for further treatment advice. If you notice cut or cracked dog paws, you’ll need to rinse off the affected area with a wound care solution to clear away irritants. Afterwards, apply an antimicrobial hydrogel to soothe the area and promote healing. You should also bandage the area to prevent any further injury to the paws. At-home paw care should be a part of your regular pet care routine, just as exercise and grooming should be. For more tips on at-home pet care, check out this blog with pet care habits you can keep up at home.